Woodcut. 2⊃3/8 x 2&7/8 in (6.0 x 7.3 cm). 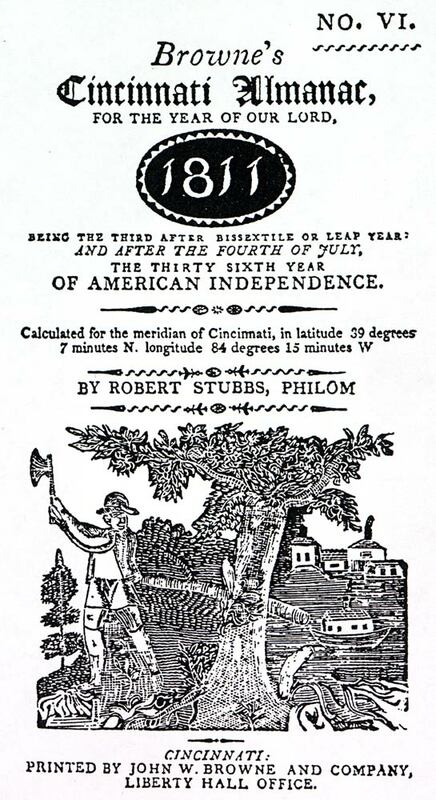 Browne's Cincinnati Almanac, for the Year of Our Lord 1811 (Cincinnati: printed by John W. Browne and Co., ), title page. Rare Books and Special Collections Department, The Public Library of Cincinnati and Hamilton County.